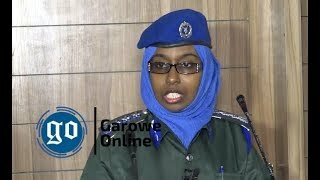 GAROWE, Somalia Oct 18,2014 (Garowe Online)-Complaints over the unpaid salaries of civil servants and army troops are surfacing in Somalia’s north eastern state of Puntland, with the government employees disclosing that they have not been paid for the last four months, Garowe Online reports. Speaking to Garowe Online on condition of anonymity, Puntland Member of Parliament said, despite statewide growing frustrations President Ali’s administration only pays lawmakers: “The government’s concern is, if parliamentarians do not receive their monthly pays the unpaid civil servant salaries plight will emerge”. Expressing concern about the disgruntled civil servants, the MP acknowledges that both parliamentarians and other government employees enjoy equal rights when it comes to the public funds. 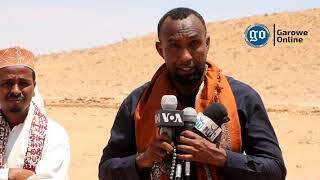 “But I am really disappointed at this issue in the first place since Puntland forces and civil servants are still remaining unpaid,” he went on. Reliable sources reveal that Ministry of Finance has not been paying Presidential Security Unit (PSU) soldiers as well as Puntland Defence Force (PDF) since June except August, making the issue thorny. Revenues being generated from Bossaso seaport and customs increased exponentially during the summer, the sources declined to be named in print said. 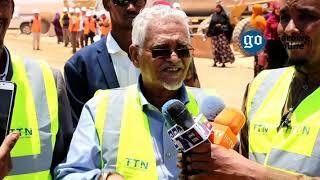 In early July, a 500-bed Danish-funded pirate complex in the state capital of Garowe came on the verge of closure but Puntland Custodian Corps Chief Gen. Ali Nur later denied reported substandard conditions in the prison facility in an emailed statement. 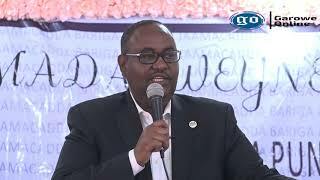 Abdiweli MohamedAli, who was elected Puntland's new president in a narrow victory margin of 33-to-32 parliamentary vote on January 8, 2014 pledged that he will focus on the wages of government employees. 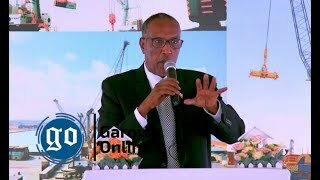 Somalia, a weak economy in the horn of Africa has been experiencing currency crisis as Somali shilling has appreciated against the US dollar.